It appeared to be a typical, run-of-the-mill board meeting at Hospital System “X.” Patient admissions had been slowly on the rise; healthcare teams seemed to be handling the increasing demand for services as the hospital facility continued to display an inviting appearance. Early in the meeting, the hospital CFO presented the data requested by board members; suddenly things took a dramatic turn. Several months of data had revealed that a profit drain had developed within the system. And worse news was that month-to-month figures showed this was not just a temporary “blip” in financial performance, but that it had become a consistent and expanding downward trend. Hospital System “X” still was operating in the black, but not to the satisfaction of the board. They immediately called upon top management to identify the problem areas and propose appropriate solutions. Unnecessary Care. Chief among them was excessive use of Emergency Services. Not only were non-emergent patient numbers growing, but the care required often was not warranted.The Solution: More education was given to potential patients, explaining that Urgent Care centers were often their most efficient and cost-effective alternatives. A LEAN analysis plan for acceptable wait times was established to improve survey results. Preventable Re-Admissions. The committee discovered that the number of re-admissions had grown significantly, particularly for patients with congestive heart failure. Members determined that discharge instructions were at times given hurriedly and often only to the patient. There were times when elderly patients did not fully reveal all symptoms that allowed for a successful diagnosis.The Solution: A process was established that was more inclusive and reliant upon family members to support or amplify the information presented to physicians. Discharge instructions were always written thoroughly for the patient and shared with family members who might become caregivers after discharge. Unnecessary Testing and Procedures. Overloaded physicians would often order a battery of diagnostic tests, using the shotgun approach in determining a health problem. A diagnosis often showed itself, but at what cost?The Solution: More thorough information-gathering initially by nurses and physicians would reveal a patient’s health problem earlier without wasting dollars on other needless testing. Leaders operationalized evidence-based guidelines in the emergency department, including the “Choosing Wisely” campaign. Misaligned Incentives in How the Hospital Paid for Care. Bonuses were often awarded to physicians who treated the most patients over a given timeframe, many times sacrificing quality for quantity.The Solution: An incentive system was set up for value-based care for each patient. Readmissions were reduced significantly; ACA survey results improved so that greater reimbursements were given back by the CMS. While hospital executives certainly were relieved that a well-rounded committee with diverse viewpoints could identify and resolve the problems for both the concerning revenue loss as well as the opportunity costs incurred, they wisely saw the need for some longer term and permanent changes to prevent future problems. Waiting until the horses had left the barn was now an unacceptable operational philosophy. They decided to change the hospital system culture toward leadership. It was no longer enough for the CMO to represent all physicians without a better communication path from them. Certain prerequisites were established for a new level of leadership that was inclusive of more front-line physicians’ views. These physicians were empowered to improve processes in the healthcare system. Leadership candidates had to have the respect of the other physicians in other departments. They also needed to have personal skills to communicate the need for this change to others. The same process eventually was used for other autonomous organizational groups (i.e., nurses, support staff). Leaders from these bodies joined the physicians and were brought together with top management to form a single advisory committee. Critical observations from all hospital departments were shared openly. Executives presented more reports and concerns about potential problems, thus making the organization a more transparent one to its employees. The newly empowered department leaders made sure to carry the committee findings to their co-workers. They were pleasantly surprised to find others in the department with sincere concerns and a willingness to step forward to help in whatever way they could. The additional time spent on meetings easily paid for itself due to the savings and positive team spirit created. Behavioral changes within a physician population require a thorough education process to achieve the necessary buy-in by those expected to lead the change implementation. 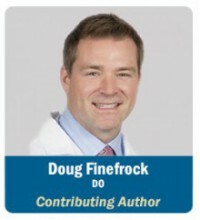 In a previous blog, I presented several tips for engaging physicians using CME. Certainly incentive programs (gift cards, premium discounts or credits, department participation awards/posters, poster display of power users/top performers in break rooms, etc.) can play a significant role. Aligning education with CMS reportable requirements can help physicians to collect CME hours while emphasizing the hospital’s necessary process improvements. Ultimately, the key elements for success must include education, training, and measuring the change achieved. Creating this type of culture change within a hospital system will never be a simple proposition, but it should not be viewed as an impossible mission. Many physicians are silent candidates for participation; most of them have never been approached. Once the movement toward change is begun, it should include everyone from the top executive group to the physician group and then become pervasive throughout the entire organization.